HOYA CORPORATION USA was founded in 1972 to support our global expansion initiative. Customers in North America demand rapid response for new product development and prototyping. HOYA CORPORATION USA has long adopted the necessary engineering and operation to meet today's future requirements. HOYA CORPORATION USA operates around a worldwide network of research and development, precision manufacturing and mass scale production. The combination of this network enables HOYA CORPORATION USA to offer End-to-End Solutions unmatched by our competitors. Within our Optics Division, we offer a variety of products spanned over many industries: Semiconductor, Telecommunications, Consumer Electronics, Industrial Optics, Imaging, Display...just to name a few. Since its establishment in 1941 as Japan's first specialty manufacturer of optical glass, HOYA has diversified into new business areas that exploit the potential of advanced optics technologies. The company has continued to grow as a global enterprise through the expansion of its diverse business activities, which encompass electro-optics, photonics, vision care and healthcare. HOYA offers the W-ND series of sharp cut and IR filters developed to meet the requirements of the world standard. Typical dimensions include 50 mm square (polished) and 165 mm square (polished and unpolished). Custom sizes and thickness are available, and a wide range of coatings can be applied. They can be used for a variety of applications including the adjustment of light intensity. This download presents the chromaticity diagrams of the standard illuminant D65, the standard illuminant A, and the auxiliary standard illuminant C.
Hoya’s multiband calibration filters are used as wavelength calibrations and dual-color-type filters. These include V-10 and V-30 (containing neodymium) and HY-1 (containing holmium), all of which can absorb a remarkable amount of specific wavelengths. Hoya offers dark glass (nearly black) filters that are capable of transmitting the ultraviolet region and absorbing the visible region. These filters are ideal for single extraction of ultraviolet rays, and are often utilized for selectively transmitting the 253.7 nm and 365 nm wavelengths. Hoya offers slightly bluish glass filters featuring high transmittance in the visible region, and good absorption of heat rays. These filters include HA-5 and HA-15, which are made of silicate glass, and HA-30 and HA-50, which consist of phosphate glass. Hoya’s neutral density filters have nearly even spectral transmittance in the visible region, and are classified by the average transmittance within wavelengths from 400 nm through 700 nm. These filters are able to control light intensity without selectively absorbing light with a specific wavelength. Hoya offers a series of near-infrared absorbing filters, or color compensating filters, designed to selectively absorb in the red and near-infrared wavelength regions. This type of filter is used in the correction of imaging sensitivity and exposure meter sensitivity. Hoya’s green filters are designed to transmit a relatively narrow band within the green wavelength region and are ideally used as band-pass filters, RGB separation filters, and more. Hoya’s blue filters are designed to transmit a relatively narrow band within the blue wavelength region, and feature the band-pass function in the vicinity of the ultraviolet region. They also have absorption features in other wavelengths. Hoya presents the new W Series of sharp cut filters where the transmission threshold wavelength is replaced with λϮ0.5, which is based on the internal transmittance. Hoya offers a wide range of infrared transmitting filters that absorb most of the visible region and transmit in the infrared region. These filters are commonly used in security systems utilizing infrared rays, night-vision devices, and other similar applications. Hoya’s sharp cut filters range from L37 through R68 glass types and are able to cover the visible region from 370 nm through 680 nm. Hoya offers CUPO®, a thin glass polarizer for the near-infrared wavelength region that is designed to use light absorption of copper particles by an electron plasma resonance. With special features such as high isolation, low loss, and high reliability, the CUPO is ideal for compact size optical isolators. The HOYA Corporation supplies advanced optical materials and components for scientific, technology and industrial companies around the world. HOYA offers a broad range of high-quality products including color filter glass, polished or blank optics, glass polarizer, films, wafers and aspherical lenses. This datasheet includes a summary of the filter glass types that make up HOYA’s color filter glass line, as well as a detailed description, information on spectral transmittance, custom requirements, and more. The UL365S UV Band-Pass filter offers UV transmitting/VIS absorbing performance with high UV transmittance, while providing the highest resistance to any effects caused by UV solarization and/or exposure to high humidity conditions. The UL365S UV band-pass filter is specifically designed for fluorescent flaw detection, biomedical imaging, entertainment lighting, and UV curing applications. HOYA Corporation offers a wide variety of optical coatings for a diverse set of applications. To learn more about these coating types and their specifications, download the brochure. 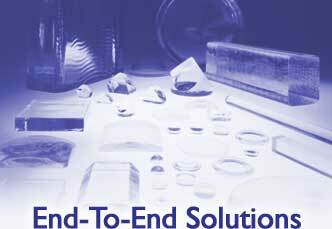 HOYA has been a leading provider of advanced optics material and precision optical components. With over 60 plus years of experience in this field, HOYA has pioneered and perfected precision molding of glass aspherical lenses in mass scale. With the addition of the C-700 series, our product line of IR cut filter glasses has been expanded. We are able to offer a specialty filter based on required density (high concentration). 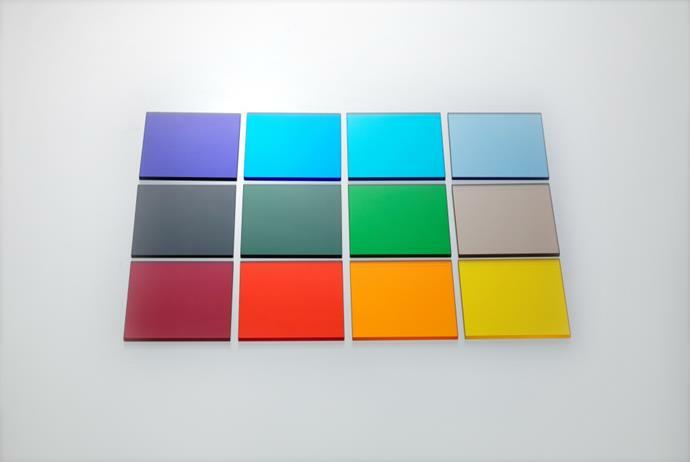 HOYA’s color filter glass products include sharp cut/long pass, light-balancing, color-compensating, neutral density, heat-absorbing, multi-band calibration, and UV Absorbing/VIS blocking filters for the UV through NIR regions. Featured is the new UL365S UV Band-Pass Filter that offers UV transmitting/VIS absorbing performance with high UV transmittance, while providing the highest resistance to any effects caused by UV solarization and/or exposure to high humidity conditions. 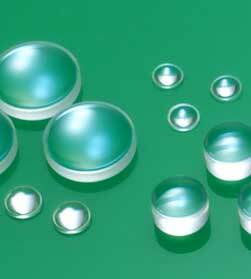 HOYA offers optical coatings with excellent abrasion resistance and durability. This can be done from single layer configurations to optics with over 100 layers. Available coatings include anti-reflection, high efficiency broadband AR, ITO, bandpass filter coatings, edge filter coatings, and more. The C series color compensating filters are ideally suited for CCD imaging applications involving digital and video cameras. It features an ultra-thin design, high transmission in the visible range, and excellent chemical durability. The filter has been designed to enhance the color distribution in the visible spectrum while also eliminating and UV and NIR transmission. For more information, download the datasheet. HOYA’s aspherical lenses mold better, have a higher reflective index, and have a lower dispersion than most competitive offerings. These advantages span both their precision molds and preform lenses. HOYA’s high precision fused silica quartz wafers are ideal for applications involving biotech arrays, telecommunications, photomasks, and sensors. They are ultra-parallel and are a dimensional replica of standard silicon wafers. SD-2 is a type of substrate used to minimize the distortion and bowing effects caused by a thermal mismatch between two wafers. This mismatch is typically a result of the CTE curves of Borosilicate glass and CTE curves of silicon single crystal waves crossing at 240oC. HOYA’s color filter glass products are ideal for applications involving medical devices, CCDs, imaging, telecommunications, calibration, electronic instrumentation, night vision, CRT/LCD/FED displays, and machine vision.